‘Tis the season for the holidays, where we are all making plans for how we will spend our time with family and friends over the next few months, what gifts we want to give to whom, and what who is going to cook what for the various holiday meals! I personally am looking forward to making my pumpkin pie recipe that I make from scratch with baking pumpkins grown locally! ‘Tis the season also for business leaders making significant decisions for the next calendar year, including employee benefits open enrollment or shopping benefits providers to start providing new benefits. You may be considering a PEO as your benefits provider, along with the other perks of partnering with one (payroll, compliance, strategic support). 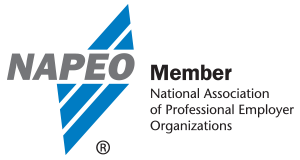 Therefore, as the newest member of the FullStack team, I want to share with you how I am answering the question, “Why use a PEO?” Let’s look first at the statistics provided by a third-party research firm for the National Association of Professional Employer Organizations (NAPEO) - see references cited below for the link to the research. Financial Save - Companies save approximately $450 per year in administrative costs by utilizing a PEO. Survival & Growth - Companies who utilize a PEO are 50% less likely to go out of business, and grow 7-9% faster than companies who don’t use one. Allow me to expand on the second and fourth points from my experience as an HR/OD consultant and leadership coach working with many business and nonprofit leaders, and as a small business owner myself. A PEO is a one-stop-shop for payroll, benefits, and compliance. Many small businesses use separate vendors for all three, which means separate invoices, and having to communicate with CPAs, benefits providers, and attorneys respectively for their specialized services. Not only will working with a PEO save companies substantial costs per employee, it will also save leaders incredible amounts of executive time and energy to work with multiple vendors and troubleshoot challenges. PEOs take care of this with all the respective vendors on behalf of our clients. As a result of this time and energy save, leaders are less frenzied, and are freed to focus on the essentials of the business. At FullStack, we believe one of these essentials is creating a healthy company culture where leaders are intentionally investing in the development of its team members. Not only do we encourage our clients in this priority, coaching and consulting support in this strategic arena is a key offering we call “Empathy Services.” As people who have started businesses and helped run them at early stages, we empathize with the challenges leaders are facing and strive to be a support to them in these. This is not something you will find at every PEO, but something that differentiates FullStack. In the next few weeks, we will share stories of how we’ve supported our amazing clients. Don’t hesitate to contact us if you’d like to learn more.